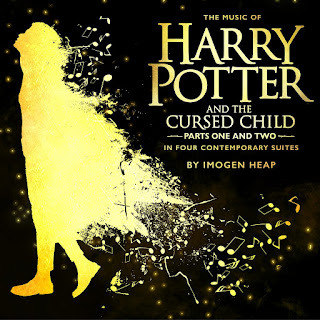 Two-time Grammy winner Imogen Heap has released The Music of Harry Potter and Cursed Child album based on the Tony and Olivier award winning play. 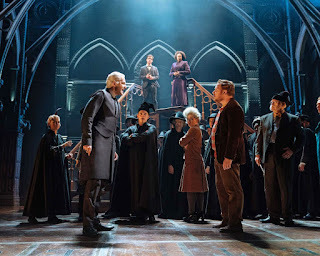 While it is rare for albums to be made for straight plays, music plays a large role in Cursed Child, underscoring much of the action and scene changes. The musicality adds to the magical feeling of the piece and gives it a unique sense of fluidity. While quite different from the John Williams score used in the movies, Imogen Heap’s selections fit seamlessly into the Harry Potter universe. The new sound mirrors the new Wizarding World explored on stage and even die-hard Harry Potter fans won’t be able to find fault. The over 100 musical moments from the play have been condensed to 79 minutes that fit into four musical suites, each representing one of Cursed Child’s four acts. In this unique structure, each suite can stand on its own, with a distinctive musical feel and arc. However, listening to them all together is a truly magical experience. The feelings of each act are translated impeccably into the song selections and it is a real emotional journey to listen to the album as a whole. The music also brilliantly highlights specific characters and gives them a distinct motif. “Albus Severus Potter” is brooding and contemplative, while “A Malfoy,” is quirky. This is also done masterfully to set the tone for specific locations. “Ministry of Magic” has a much more structured and disciplined tone than the pieces set in Hogwarts and “St. Oswald’s,” a home for old Witches and Wizards, has almost a circus or fun house quality to it. About halfway through the suite, the tone of the pieces begin to shift to become slightly darker. The final track, “Shadows and Spirits,” is ominous and threatening with a sense of being chased. As the suite ends, you definitely get the sense that you are a long way from where you started. 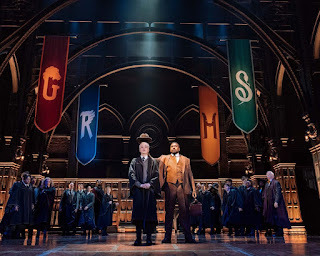 Suite Two takes you through a darker side of the Wizarding World wherein the music reflects a greater sense of emotional turmoil experienced by the characters. It opens with “Privet Drive,” that bears a dreary feeling of hopelessness attributed to the muggle (or non-magical) realm. Respites from the increasing musical tension of Suite Two are found in “Dumbledore” and “The Staircase Ballet.” Two beautifully haunting tracks with an ethereal, bittersweet quality. The quiet, simple final notes of “The Staircase Ballet” give you a moment to catch your breath before “The Duel” ratchets up the tension once again with a piece that is threatening and infused with anger. “Moaning Myrtle” is another exceptional track that captures the mischievous nature of the character while also using tonal elements to suggest dripping and flowing water. The suite concludes with “Scorpius Alone,” taking on a completely different sound and suggesting a monumental shift in the world that Heap has previously created. This tonal shift continues through the first few tracks of Suite Three with “A World of Darkness” and “Another Hogwarts” which feel regimented and oppressive. These pieces use more techno elements that warp the familiar motifs from the earlier suites, giving a sense of discomfort. “Dementors” is a particularly dark track with a series of note progressions that are overbearing and perfectly echo the terrifying creatures J.K Rowling originally created. Conversely, the following melody of, “Expecto Patronum,” is soothing and conveys a feeling of peace and security. 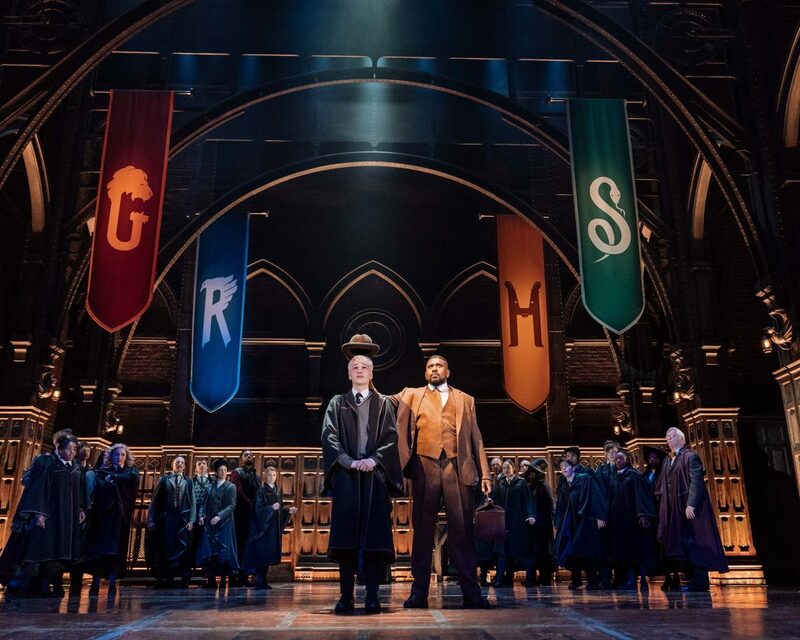 “Slytherin Dormitory” and “The Owlery” lull you into almost a false sense of security, as though the danger is now kept at bay, but the final chords of the latter shift into something decidedly ominous. The final two tracks of the suite, “A New Prophecy” and “The Auguery” introduce new musical themes of a new and even more dangerous threat. The last track of this suite makes excellent use of silence to convey a sense of loss and desperation. Suite Four is a fulfilling end to the album’s musical journey and contains some of its most powerful works. “The Final Battle” is the album’s longest track and musically conveys a story arc all its own. It begins slow and ominous, but continually builds in complexity and intensity. A duality of musical themes suggest a fight between good and evil, while sweeping chords and effects put you in the middle of a whirlwind of magic spells being cast. Probably the most emotional song in its simplicity, “Lily and James” truly captures a parent’s unconditional love, but with an undertone of sadness and a bittersweet ending. The album concludes with “A Nice Day” which brings it full circle using melodies and musical elements that echo the first few tracks of Suite One. It infuses the light-hearted magic back into the score, which leaves you feeling as though everything is as it should be, and hopeful for what lies ahead. 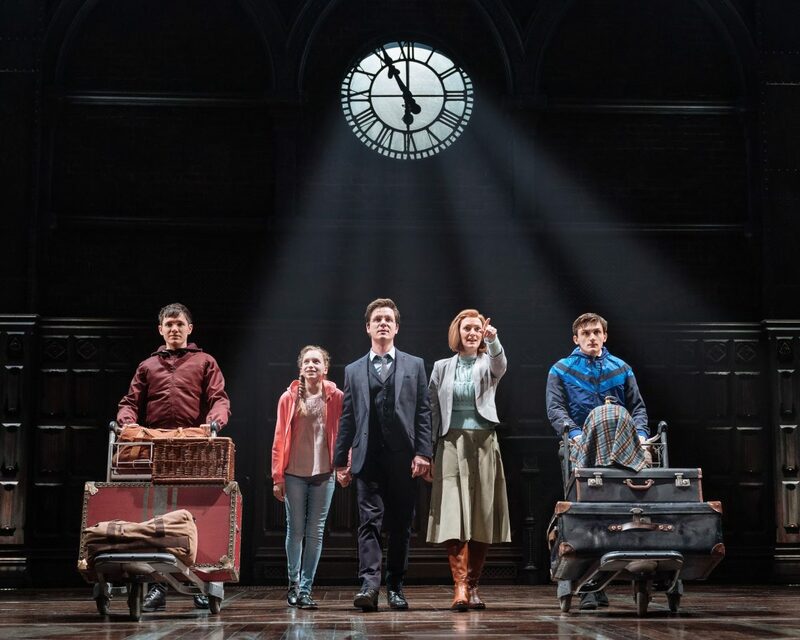 The Music of Harry Potter and the Cursed Child is a beautifully crafted album that transcends any particular genre. It makes for an emotional and enjoyable listening experience for any music or theatre lover regardless of whether or not you have seen the play that inspired it.